These delightful tales are sure to help your little ones settle down and drift contentedly off to sleep. Written by a grandfather for his own kids and grandchildren, these twenty entertaining stories feature lots of talking animals, including a kangaroo who teaches a pony how to jump, a little bear who wants to play baseball, a coyote who learns to fly, a magic balloon that takes a little girl all the way to Japan and back, and some resourceful ants who build a swimming pool so they can play as well as work. It’s full of positive images and plots that inspire creative solutions to various challenges. A lovely read-aloud adventure the whole family will enjoy! When you were young and bedtime approached, did you beg for a story after you were tucked in? 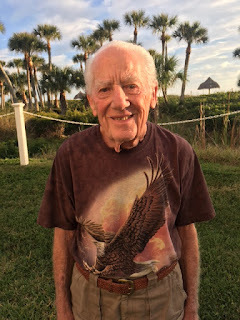 I had someone special to make up stories on the spot. I wish she had written them down. Well, Grandpa Bernie did just that. His imagination knows no limits. These tales are about young children and special friends and adventures. Kids can relate to things (and bugs and animals) in ways most adults have forgotten how. 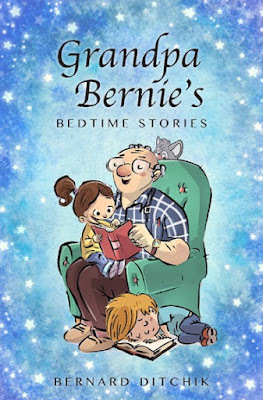 Grandpa Bernie takes those ideas and relationships and turns them into imaginative tales that young children will appreciate and relate to. They may even add their own take to the stories as you read to them! From monkeys to elephants and alligators, birds and squirrels to children who act like little monkeys, this collection will make you smile. It is about friendship, trying new things and working towards your dreams. I didn’t begin my career as an author by writing stories. First, I was a storyteller. Let me explain. Many years ago, when our children were very young, I would sit on their beds at bedtime and tell them a story. Instead of reading a story written by someone else, I preferred to make up my own story right on the spot. They were stories about animals who learned to fly, children who talked to birds, alligators who were friends with elephants, and even one about a horse that learned to jump like a kangaroo. Our children loved them. So I made up lot of stories. Then there was a long period of time when there was no one who wanted to listen to my stories because they had all grown up! We are thrilled with your wonderful review. Thanks for helping us tell readers of all ages about Grandpa Bernie's Bedtime Stories.